Part of what makes me want to organize all my blogging tasks is that I hate wasting time. Like, loathe it. Like, I want to pull my hair out as my time is being wasted. So, this morning when it took me +3 hours to figure out how to configure a Lightroom mobile preset I bought off Etsy, I was at my wit’s end! 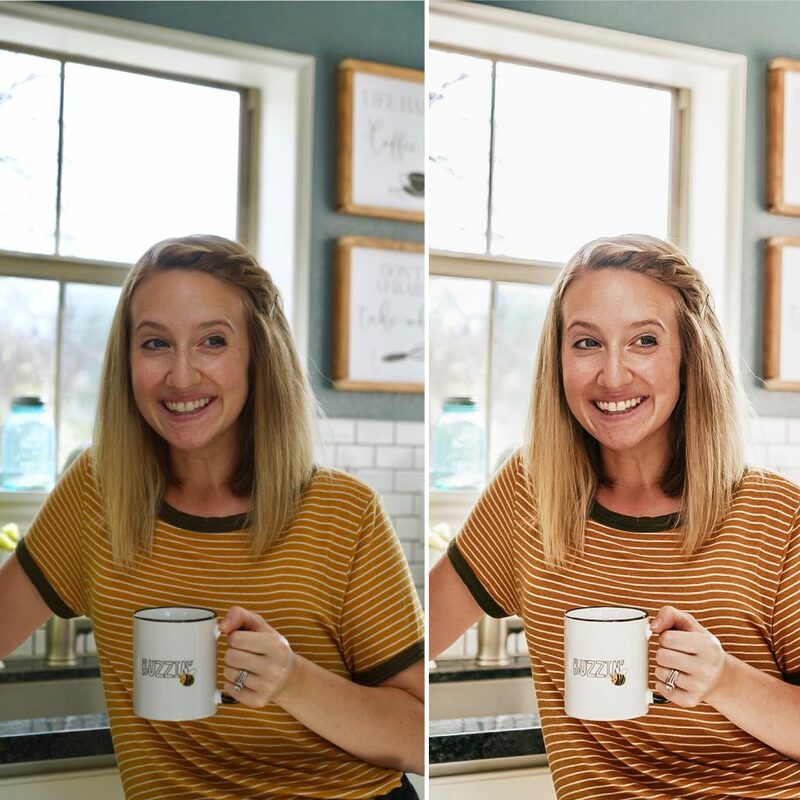 I had such a hard time figuring out how to get this preset on my phone and use it for my photos, so I’m sharing the tutorial I wish I’d had the whole time. Here we go! (Affiliate Link) I settled on the Cozy preset from Etsy. Pretty self-explanatory. Download the app and create an Adobe account if you don’t have one. No need to pay for an Adobe license. If you bought your preset off Etsy (like me!) then do the following: First, open your mobile browser and go to Etsy.com (NOT the app!). Go to your orders and download the .DNG file that came with your preset. 3. Save the preset to your phone (if you can). What every tutorial told me was that I should save the .DNG file to my Camera Roll on my iPhone 7, open the Lightroom app, click the “…” in the top corner, then “Add to…” and upload the .DNG file that’s in my camera roll. None of that seemed to work. I ran into ALL the issues. Any category with a white dot under it has been adjusted using the preset. If anything looks off after adding the preset (a color is too saturated, it has too much contrast…), try returning the slider to its baseline number. In the Color tab, make sure to also use the “MIX” settings in the top right of the adjustment box. 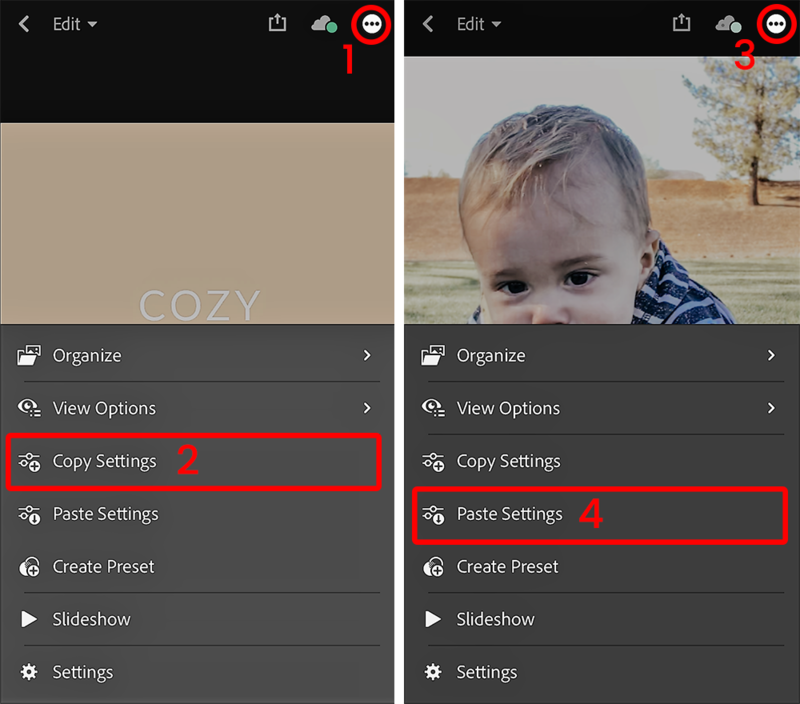 It allows you to make tons of edits to the colors to get your picture looking Insta-worthy. When you’re done, save the photo to your Camera Roll with the box/arrow icon along the top. Wah-lah! Done-zo. There are several other presets types out there, such as different apps or even loading directly to Instagram! If Lightroom can be tricky to use, why use it? Lightroom allows you to do much deeper editing than Instagram allows. It’s a more complex software and allows you to make more minute changes for more detailed editing. Sometimes the photos you take already have great lighting or maybe the lighting is terrible. Maybe there’s a weird blue cast over your photo or maybe it looks really yellow more some reason. When you add a preset on top of these intricacies, things can get real funky. With Lightroom, you have the option to tweak all the settings to get your picture looking just right. While the Instagram editing options are still impressive, they just can’t compete with Lightroom. 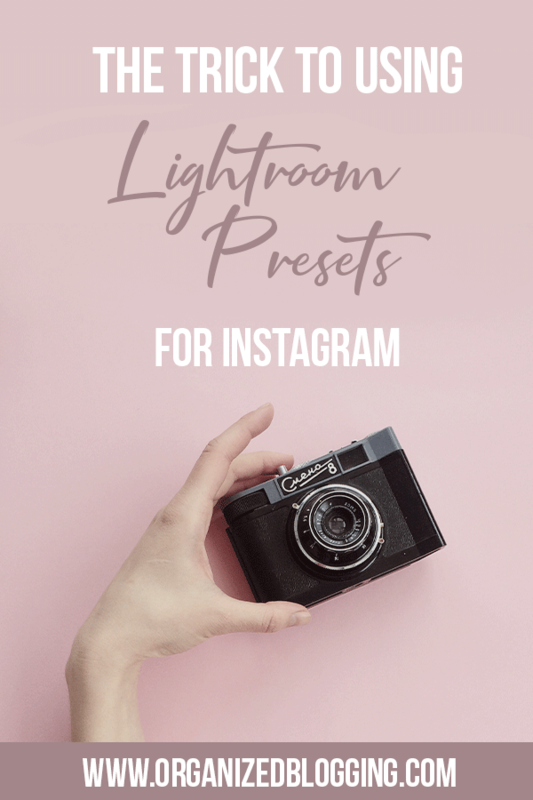 I hope this helped you use a Lightroom mobile preset to make a pretty Instagram grid! Don’t forget to pin this for later!